No doubt driven by kid-friendly films like Amour and the younger generation’s zeal for old-fashioned musicals, this year’s Oscars saw a 20-percent upswing in viewers aged 18 to 34 from 2012’s ceremony, in addition to a 100-percent surge in angry articles. 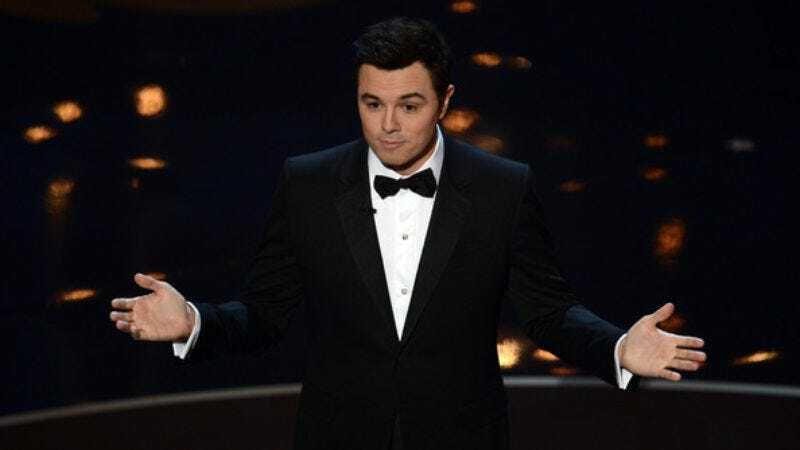 Of course, along with that wave of tween Chicagoheads and Amourites tuning in, some of the former and (nearly) all of the latter can be attributed to host Seth MacFarlane, who was brought in specifically to attract younger viewers and say jerky, Seth MacFarlane-type things, and succeeded on both counts. While the debate still rages about his suitability as host, last night’s telecast scored 40.3 million total viewers and delivered the highest ratings in the adult demo since Ellen DeGeneres hosted back in 2007, when America was still hot on the trend of “being nice to people.” It also scored the best overall numbers since 2010’s showdown between Avatar, The Blind Side, Up In The Air, Inglourious Basterds, etc.—meaning, as with this year’s lineup, there’s definitely also some credit due to the Oscars honoring films people have actually seen. But yeah, it was probably mostly the musical numbers.